Thirteen years after her first loss of a child to abortion, divine intervention awoke Joyce from her nightmarish past to the truth of her harrowing actions. Inconceivable agony and remorse lay deep within the shadows of her heart. Not only does she grieve her seven baby boys, but their children and their children. Today Joyce has moved beyond the bandaideTM our culture placed on her private pain of child loss through choice. Her 21st century voice of truth has been featured on television, radio, and in print publications. As a spokesperson for life issues, she has served as the national director of Operation Outcry: Silent No More, a radio talk show host and producer for Voices of Abortion & television producer for season one of Faces of Abortion, and appears with Jane Roe of Roe v. Wade in the internationally released documentary "I was wrong." 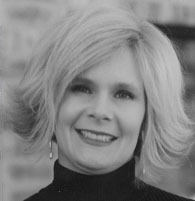 Joyce's work includes directing a pregnancy care center, launching a ministry for those hurt by abortion and child sexual abuse, marketing and promoting life-changing projects, planning city to nationwide media campaigns & special events, and designing spaces including interior, commercial and set designs. reaches the hearts and wombs. circumstances and wrong choices of her past. also draws on humor and wisdom from above concerning women and family issues. Joyce is available to tour with documentary "I was wrong."